Are you looking for Cambria countertops colors in Maryland? If you live in Baltimore, Annapolis, Alexandria, Fairfax, or anywhere else in Maryland and Northern Virginia and you want to personalize your Cambria kitchen counters, then keep reading this page to learn about your options. If you have questions or would like to talk sales representative about the colors of Cambria countertops available, give us a call at 410-712-0601 today. Or you can click here to contact us through our request form for more information or a fast, FREE estimate. The Color of Your Countertops is Important! Having the right colors makes all the difference in room design, so there is no reason to think that doesn’t apply to your countertops as well. If you’ve decided that Cambria quartz is going to be your new countertop but you still haven’t determined what you’re going to do about the color of the material, take some of the following options into consideration before you move ahead with your plans. Snowden White – If you want a color that fits with everything, you’ll be hard pressed to find something that fits the bill better than Snowden White. By applying this color to your Cambria counters, you can imply purity and cleanliness, making your kitchen that much more welcoming. Flint Black – Black is another color that goes with anything, and Flint Black can be perfect for complementing other parts of your kitchen design and giving it the kind of eye catching look that will draw the right kind of attention to the room. Burton Brown – For a color that speaks more to natural inclinations and reliability, consider Burton Brown. This would be a perfect color if your kitchen had wooden furniture and you wanted to establish a rustic look that you don’t often find in many modern kitchens. Wilshire Red – Red is often a color that is used in interior design because it’s so good attracting attention. If that is your goal with your home’s kitchen design, then consider Wilshire Red as one of your options. Cardiff Cream – If you want someone warmer and richer than white, then consider adopting Cardiff Cream as your color of choice when searching for Cambria countertops colors. You’ll get much of the same effect that you would with white, but with a unique tone that not many people think about. These are just five of your many options for Cambria quartz colors, but there are many others of which you can take advantage. The key is to choose something that fits with your overall design aspirations. 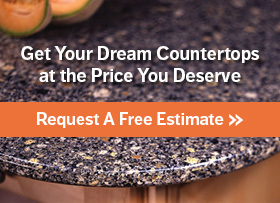 When you want countertops that are perfect for your home’s kitchens, choose the experts of Express Countertops. We provide Cambria quartz countertops and can work closely with you to ensure your new fixtures have the colors that perfectly complement your kitchen and can help it stand out from others you may have seen. We will work with you to go over your many options for Cambria countertops colors in Maryland and ensure the final product looks better than you could ever imagine so that you can establish your home’s kitchen as a space that is welcoming and shows off your personality. The color is what ties everything together, so make sure you get it right and make something truly memorable. If you’re ready to get started on your project, or if you have questions, call us at 410-712-0601 or click here to contact us online. We’ll be happy to provide a fast, FREE estimate.